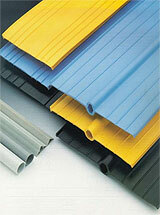 The profiles MIBOWS-WSE-WSB-WSBIQ-WSBE are produced with thermal plastic vinyl resins of exceedingly high quality. These materials confer to the profiles a high resistance to aging, to the aggressive action of alkaline/ acid substances and to the mechanical stimuli. They are employed, depending on the sections and the shape, in dilation joints, in casting and construction joints and in any type of structure (civil, industrial, etc. ), in order to give to the latter a perfect hydraulic seal. Casting joints between fresh and hardened concrete always represent a structural interlude between which water leaks can develop. 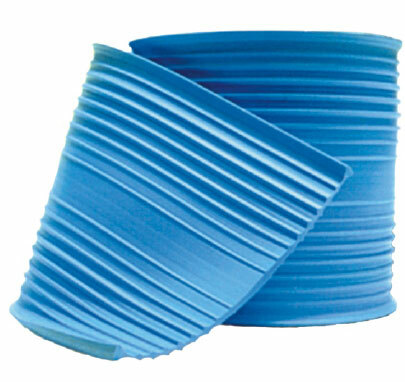 The MIBOWS-WSE profile, made of PVC, are suitable for casting joints which are not subject to movement. Hydrostatic pressure: WS < 0.5 atm WSE-WSB-WSBE-WSIQ from 0.5 to 2 atm. 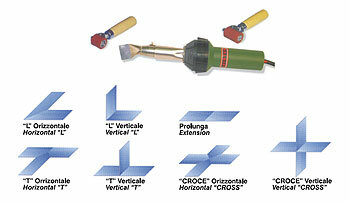 Axial expansion: tWS < 10 mm WSE-WSB-WSBE-WSIQ from 10 to 20 mm. Transverse movement: WS < 5 mm WSE-WSB-WSBE-WSBIQ from 5 to 10 mm. Preservation:: the product will last 60 months circa from the date of production if stored in its original and sealed packages, in a dry place and with temperatures not exceeding 30°C. They need to be protected from UV rays. The inner profiles (WS-WSB-WSBIQ) must drawn in the concrete and have to be secured to the framework to ensure a certain stability during casting and to avoid the formation of folds. The outer profiles (WSE-WSBE) must be secured directly on the formworks or on the foundations, with the anchoring blades pointed towards the casting. The profiles can be welded directly on site with an electric hot air welding machine. It is advised to have care to vibrate the casting near the joint, in order to avoid the creation of the so called gravel nests. MIBO WS-WSE profile are used for cold joints where the concrete has been cast at different times and there are iron rods passing through one casting and another. MIBO WSB-WSBIQ WSBE profiles are used instead for expansion joints, where concrete castings cast at different times feature a cavity equal to the width of the bulb and the cavity must be filled with a suitable elastic material. In this case there are not iron rods passing through one casting and another. The electric hot air blow pipe are used to make special “L”, “T” or cross couplings. The products are produced with the best row materials available on the market in order to obtain a high quality product. Our guarantee covers the quality of the product but not its applications which cannot be under our control..